This afternoon the Milwaukee Bucks travel down I-94 to visit the Windy City to take on the Bulls in the third of a four-game, home-and-home series between the two this season. Chicago came out on top in each of the earlier powwows played in Milwaukee. 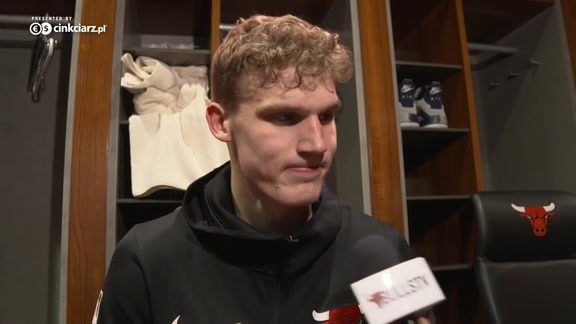 In the opener the Bulls commanded the glass from the start, outrebounding the Bucks 50-43 and outscoring them 24-13 in second-chance points by the end of the game to post a 115-109 victory on December 15th. Kris Dunn totaled 16 points, 7 rebounds and 6 assists while Bobby Portis (27 points, 12 rebounds) and Nikola Mirotic (22 points, 8 rebounds) combined for 49 points and 20 rebounds off-the-bench. Milwaukee's Giannis Antetokounmpo and Khris Middleton each notched game-highs of 29 points, while Antetokounmpo also snagged 16 rebounds. Chicago moved to 2-0 at the BMO Bradley Center 11 days later with a 115-106 thumping of the Bucks. Once again Mirotic stormed off-the-bench to post a team-high 24 points to go along with 8 rebounds. Antetokounmpo had another fine night for the Bucks, scoring a game-high 28 points, but oddly the talented 6'11 forward took only two shots and scored four points during the decisive fourth quarter. Chicago's primary formula for success is to always come out of the blocks hard and fast and establish themselves as aggressors. Defensively, they need to keep the lines of communication open and quickly react in shutting down the paint whenever an opponent tries to attack the rim. Deservingly so, Antetokounmpo was recently named a starter for the upcoming All-Star game set for February 18th in Los Angeles. The 5th year forward is having an MVP season, averaging of 28.2 points, 10.1 rebounds and 4.2 assists. Affectionately dubbed "The Greek Freak," Antetokounmpo has proven to be a matchup nightmare as he literally can do it all. But he isn't the only threat Milwaukee employs. Off-guard Khris Middleton ranks second on the team in scoring (20.4) and logs a little over 37 minutes a game, while starting point guard Eric Bledsoe chips in 17.6 points and 4.3 assists. The veteran 6'1 floor general has always been fearless when it comes to driving to the rim and attacking the heart of the defense. To that end, Chicago this afternoon will once again need to wrestle control of the boards - at both ends of the court. The Bulls currently rank 7th in rebounding, pulling down 44.9 a game, while Milwaukee sits dead last with a mark of 38.4. Offensively the Bulls want to strike quickly with everyone carrying out an important role. They must exploit their overall speed and athleticism and attempt to get into transition as often as possible in order to post easy scores. However, whenever they have to set-up in the half-court, it's vital the Bulls generously share the ball, making it jump from player-to-player, and from side-to-side to generate open looks at the basket. Each time Chicago snares a defensive rebound look for the guards and wings to immediately dash to the other end of the court in search of an outlet pass. If they are unable to post a layup, the Bulls will need to quickly station shooters evenly apart along the 3-point arc to draw Milwaukee's defense out from under the basket. While skipping the ball between each other, Chicago should also eye opportunities to go on the attack and never shy away from driving the ball into the paint if the opportunity presents itself in the hope of forcing the Bucks' defense into overreacting. If the defense slides back under the basket or attempts to trap or double-team, the Bulls' attackers have to quickly look for an open sniper hovering on the perimeter for an uncontested look at the rim. Chicago's plan is to launch anywhere between 85-to-90 shots overall, with 30-or-more coming from beyond the 3-point arc. In order to achieve these goals the Bulls have to stay committed to playing fast, while at the same time under control, keeping turnovers in check. Defensively the lines of communication must stay open. Collectively they have to be quick when it comes to filling driving and passing lanes. Unfortunately the Bulls will likely be without Kris Dunn again today. As of this writing the second-year point guard is still feeling the effects of a concussion suffered a little over a week ago. Jerian Grant is expected to take Dunn's place once again in the starting lineup and will no doubt have his hands full with Bledsoe. Shooting guard Zach LaVine will most likely see some time at the point, as well. In short, the Bulls need to come out of the gates aggressively from the jump. It's essential they establish a fast pace and keep everyone mentally and physically engaged at both ends of the floor. They have to sport an uncompromising attitude, and commit to outhustling and outmuscling the Bucks in each and every way.